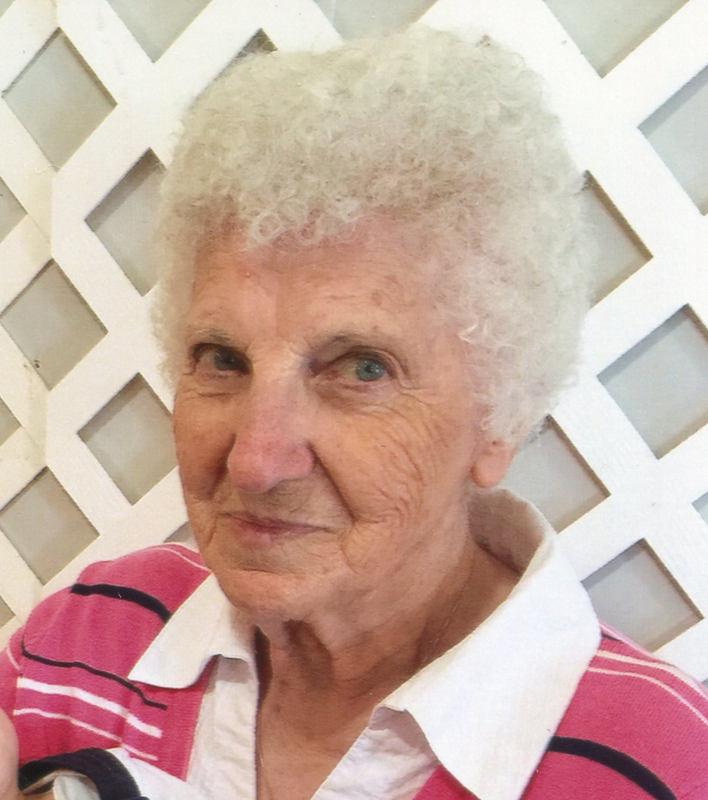 Josephine Miazga Obituary - MELFORT, Saskatchewan | Fedusiak Funeral Chapel & Crematorium Ltd.
Josephine Olga (Oleschuk) Miazga was born March 11, 1936 to Michael and Mary (Hoysa) Oleschuk in Sydney, Nova Scotia. She attended schools in Sydney and Coxheath. After completing grade 8, she worked to get her hairdressing papers. At the age of 17 she moved to Ontario. It was there that she met Harry Miazga. They married February 8, 1956. In August 1970, they moved from Ontario to Gronlid, SK. They were blessed with 4 children, 8 grandchildren and 4 great-grandchildren. Josie considered family to be very important. There wasn't anything she wouldn't do for them. She enjoyed watching her children and grandchildren in all of the sports and activities they were in. Josie loved to cook and bake and, of course, make perogies. Anyone visiting her home never left hungry. Josie loved working outdoors in her vegetable and flower gardens and was happy to be able to continue this when she moved from Gronlid to Melfort in June 2012. She enjoyed being a part of the Women's Church Guild at the Anglican Church. She loved going to lunch with her 5 special friends Ruby, Greta, Mona, Phyllis and Jean. Josie also enjoyed keeping in contact with her best friend from childhood Shirley (Kulynych) Dolhun. Josie was predeceased by her grandparents Nicholas and Tekla Hoysa, parents Michael and Mary Oleschuk, her husband Harry, son Andy, brother Mike Oleschuk, sister-in-law Velma Oleschuk, in-laws Walter and Annie (Mroz) Miazga, son-in-law Lavern Bratberg and many other family members that were dear to her heart. She will be greatly missed by her children Irene Bratberg, Tim (Cindy) Miazga and Kelly (Connie) Miazga; grandchildren and great-grandchildren Larene (William) Charlotte Poole, Nicole (Gordon) Rule, Kara (Dan) Izabella Bronn, Johnathan Bratberg, Caitlin (Clint) Sophie Wesson, Tyson (Kylie) Emrie Miazga, Zoie Miazga and Blake Miazga; and her brothers Peter Oleschuk and Walter (Jean) Oleschuk. To send flowers to the family of Josephine Olga Miazga (Oleschuk), please visit our Heartfelt Sympathies Store.